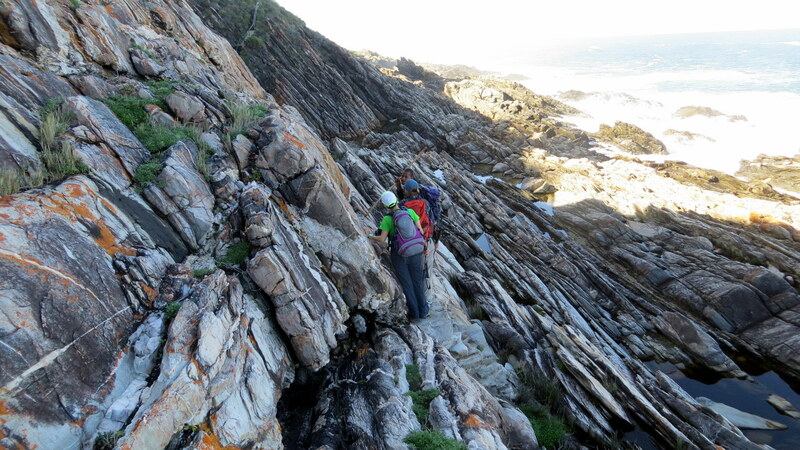 Arrival at Storms River is required by six in the evening, where you will check in, followed by a trail briefing by SANParks personnel and then dinner in the restaurant. It is strongly recommended that you arrive a bit earlier to explore some of the shorter walks around the Park, possibly even the 3 ½ km Waterfall walk, which is the start of the Otter Trail. 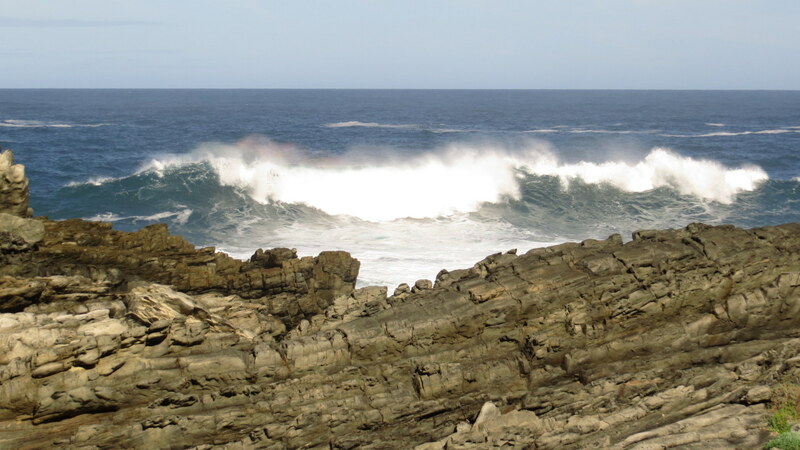 It is a rocky walk along the coastline, that will get you in to the feel of the rocky part of the terrain that you will be covering in the next few days. If you are saving your energy, you can just relax and enjoy the environment of the camp. 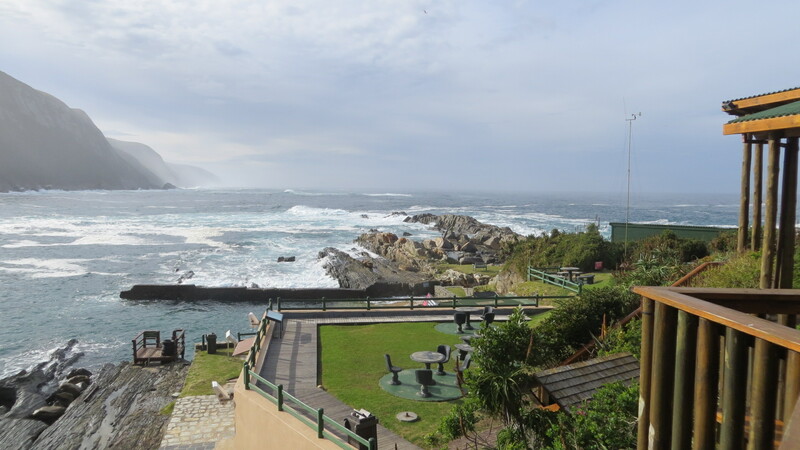 The restaurant complex doubles as reception area and has a superb setting with views of the waves crashing on to the rocks close by, the river mouth in the distance and the cliffs beyond. Our experience of the check in was good with the staff being friendly, enthusiastic and knowledgeable. Check in was followed by the evening meal, which made up in quantity what it lacked finesse. Service was also a bit chaotic and was probably not the best first impression of the catering for my overseas visitors. The conversation was good however and after quite a long drive and in preparation for a good days walking the next day, we retired to be fairly early – no TV, just a copy of Wild magazine next to the bed. 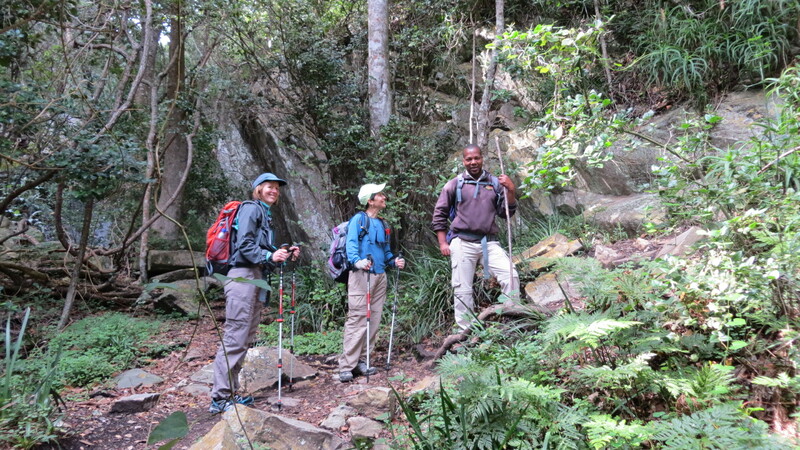 The Otter Trail is arguably the best known hiking trail in South Africa, with any South African who regards themselves as a hiking enthusiast having done it or planning to do it. It is however, a trail that requires a good level of fitness and hikers have to carry a full backpack for five days with food, equipment and clothing for the period. For those that prefer the less strenuous option of ‘slackpacking’, but want to experience this pristine coastline, there is the three night Dolphin Trail. The hiking, although not quite as strenuous as the Otter, is still challenging, with some steep inclines, cliff paths and rock scrambling along the coastline. The real advantage is that you are only carrying a small day pack with your warm tops, rain gear, lunch and water; the accommodation is comfortable to luxurious, the food is provided and you can get your choice of drinks in the evening. In addition to that you get a very efficient and knowledgeable guide who is able to point out details about the flora, fauna and geology of the trail that you might otherwise miss. 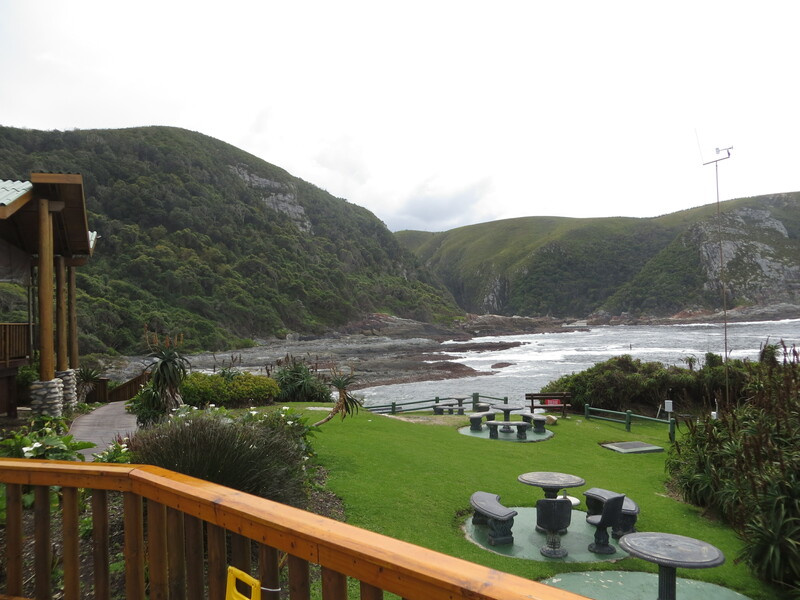 The first night’s accommodation is at the chalets at the Storms River Mounth in the Tsitsikamma National Park. Not luxurious, but very clean and comfortable. This is followed by Misty Mountains on the second night and The Fernery on the third. 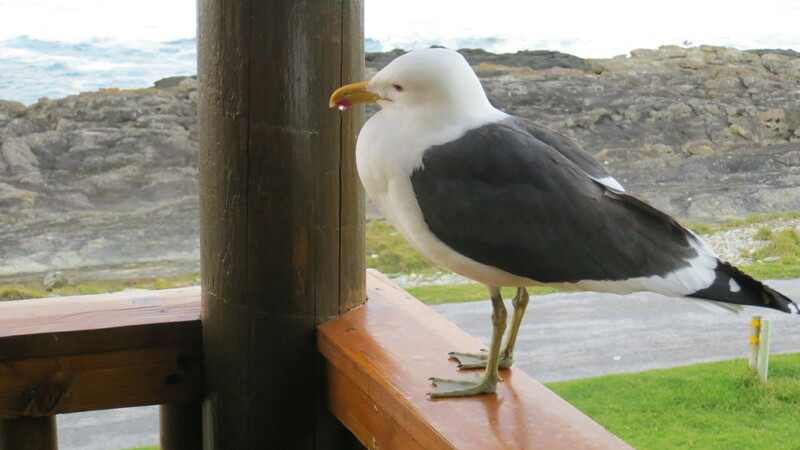 Both of the later offer luxury guest house accommodation in a rural setting with views of the coastal edge of Tsitsikamma Forest and the ocean beyond. While the evening meal at the Storm River Mouth restaurant would not rate in the gourmet category, it is reasonable and is more than compensated for by the dining experience at the other two venues. The Fernery is particularly excellent in this regard. 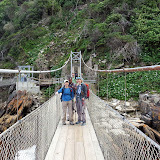 Description of Day 1 to follow …..
Tsitsikamma National Park, a set on Flickr. 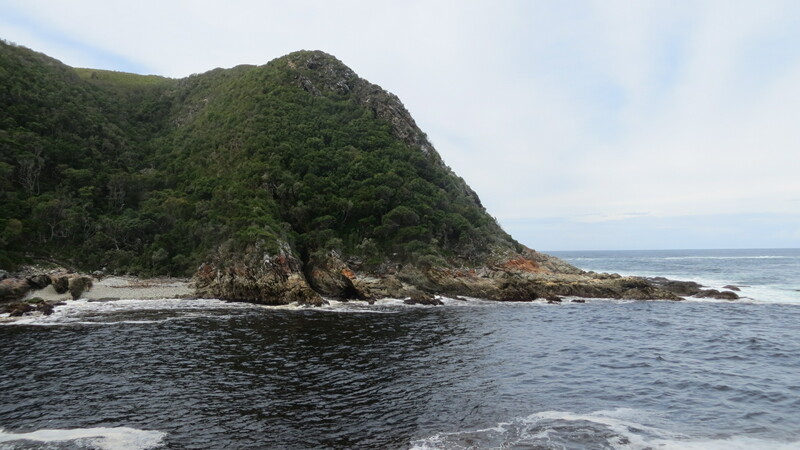 A visit to the Tsitsikamma National Park is an essential part any Garden Route tour. It is the start of the iconic Otter Trail and the more luxury, slackpacking style alternative, the Dolphin Trail. With the Wilderness Travel group,we were staying at the Fernery, the final overnight stop on the Dolphin Trail. 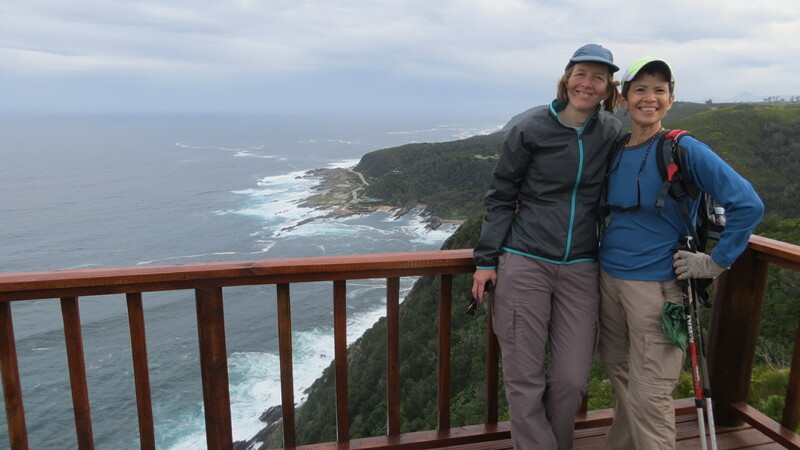 Starting with an easy walk, we took the opportunity to visit the 1000 year old yellowwood tree in the Tsitsikamma forest, before walking over the suspension bridge at the Storm River mouth. The next day we hiked to the waterfall on the Otter Trail. This is as far as you are allowed to walk if not part of an overnight group on this trail. It is not easy walking, with plenty of rock scrambling, boulder hopping and uneven ground. There are some sections of good path, but it cannot be rushed and takes a bit longer to do the 5 km there and back, than one would necessarilly anticipate. A ggod moring’s hike before we headed up to the Drakensberg the next day.